If you are afraid of green vegetables. If you want only to gaze upon goodies, and treats and heavenly baked delights. By all means! I hope you will. these…and this….and a big fat helping of this. Now that you’ve enjoyed a little sugar, let me say. This Roasted Asparagus is really good. Not in a cheesecake-ie sort of way. Heavens no. 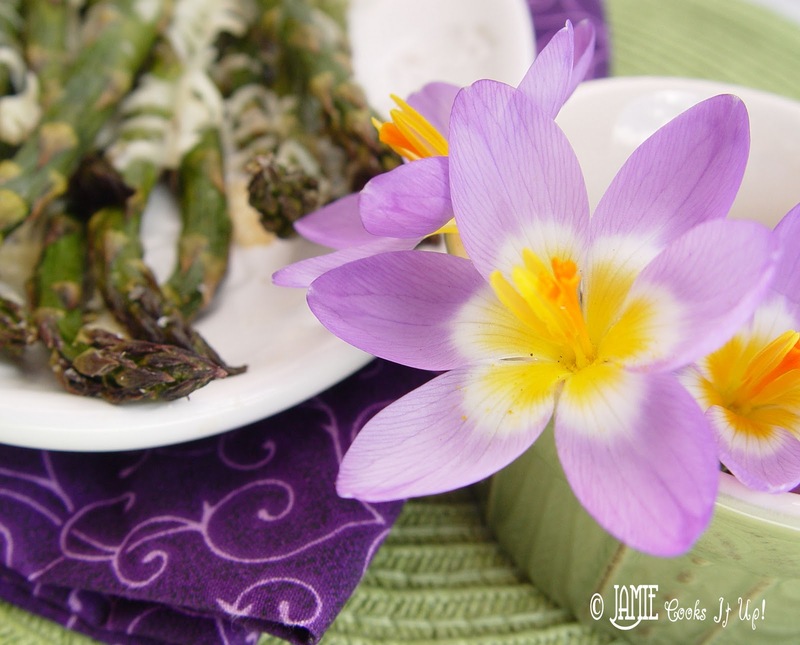 you are going to LOVE Roasted Asparagus. I hope you give it a try! And if Roasted Asparagus isn’t your cup of tea, well then I hope to..
and something with a lot of sweet and creamy calories. 1. Lay your asparagus out on a large cookie sheet. Drizzle olive oil over the top. Sprinkle with salt and pepper. 2. Bake at 400 degrees for 15-20 minutes, or until the asparagus is tender. 3. Remove the pan from the oven and sprinkle the cheese on. Put the pan right back in the oven for a couple of minutes, or until the cheese has melted and turned a bit golden. 4. Serve hot from the oven. Once these babies cool, they are not nearly as good. They turn all mushy, and….a little bit slimy. You don’t want slimy vegetables on your hands now do you? Trust me on this one…eat them hot out of the oven and you’ll be a happy camper! Thanks for posting this. My girls love asparagas, but my son doesn't so I keep trying it different ways to see if he can find one he *likes*. Thanks! Roasting really is the best way for most things! We make this recipe a lot except I usually sprinkle some feta cheese on top instead of the parm. Very yummy. I had never tried asparagus until about a year ago. My aunt had steamed some and it was really good. But this is the way I always make it. Delicious, quick and easy. And I bought some this week for 88cents a pound! Oh YUM!! I am in LOVE!!! I made this roasted asparagus and posted it on my blog. Thanks for sharing! I have yet to find a way that I don’t like asparagus. But roasted is one of my favorite. Creamed like peas is also wonderful…. saute in butter, oh my. 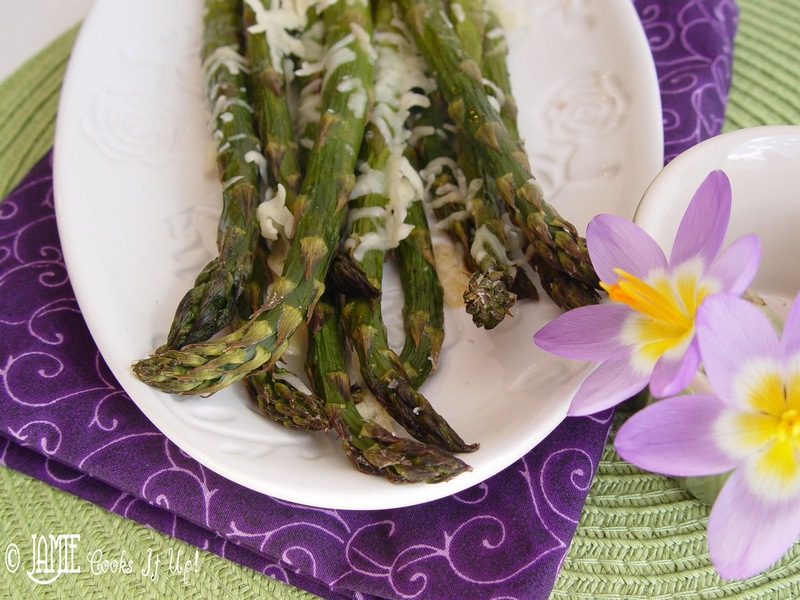 Love my asparagus this way, the only thing I do different is add minced garlic…Thanks for sharing this one! !